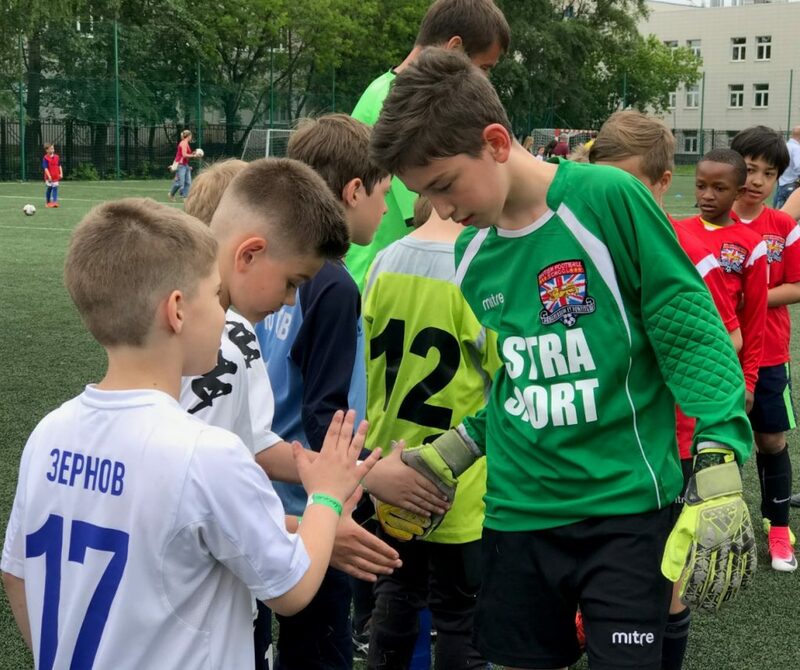 On a lovely summers day British Football School were proud to partner with Russian charity FlagDobra.ru and host the second international Dobra Cup at FC Lokomotiv Moscow. 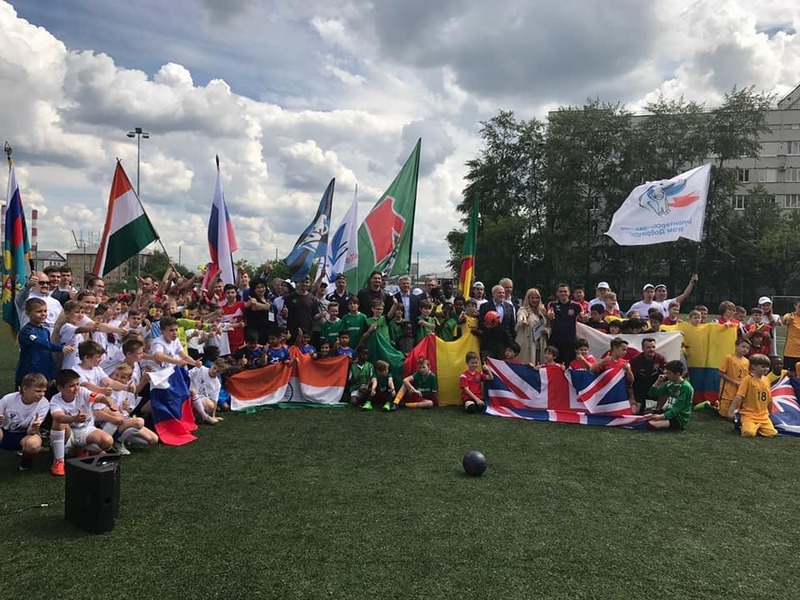 Supported by the British Ambassador Dr LAURIE BRISTOW and Vice Prime Minister of Russia ARKADY DVORKOVICH, as well as several hundred supporters, BFC Rovers competed against teams 9 teams from countries Russia (I, I and III), Australia, Japan, India, Cameroon and Ecuador. BFC Rovers started their first match well against a stubborn Japanese team. In a tight, pulsating match with end to action after several great saved by the Japanese keeper, it the decisive finishing of Gens which ensured a 1-0 victory. Up next were team India. Coach Richard kept the same formation and stressed the importance of teamwork and ball retention from the defencive line. 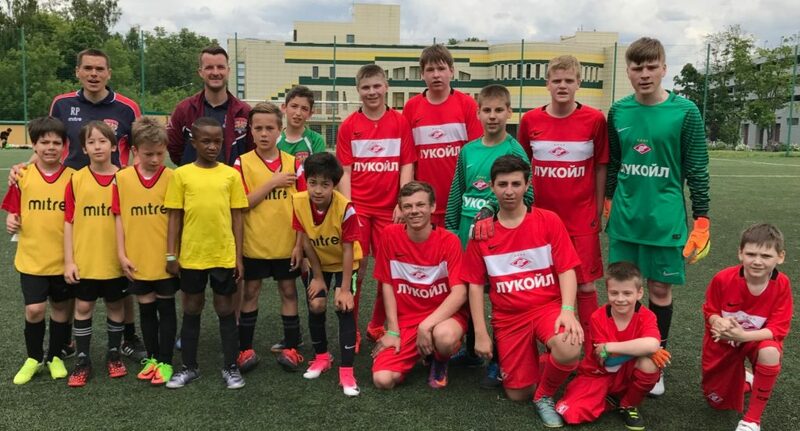 With Petrov a commanding presence in the BFC Rovers goals and the strong defencive partnership of Shlepov and Yagnyatinskiy the Indian team found their efforts thwarted. Only drafted into the team on the day due to BFC player injuries, Union player Dlamini worked excellently taking and beating several players older than himself on the left wing – ending his efforts with a brilliant solo goal! Navarette made several important tackles in the centre of midfield to ensure the ball was fed to Gens, and 2-0! 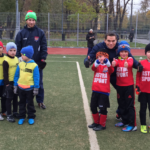 Up next were teenagers from a social program supported by Spartak Moscow. Their strength and abilities against a younger BFC prevailed, and ended with an injury to Navarette after an impressive display with goal. 1-5 the final result. 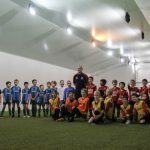 BFC Rovers then took on an imprsive Russia II team, made up of academy players from Setern. Navarette struggled on but had to soon make a switch with Albion’s Gaaliche (again drafted in late to help the team). The team held their ground well, with some excellent saves from Petrov and great tackles from Shlepov. 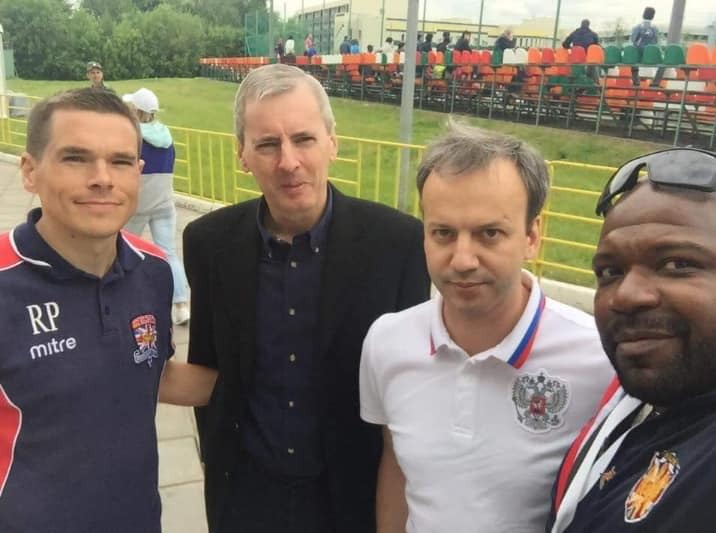 However, the team lacked creativity as their attacked were cancelled out by Russia II. But when Yagnyatinskiy released a long-range shot against the goalkeeper Dlamini was there to tap it in. 1-3 at the final whistle. 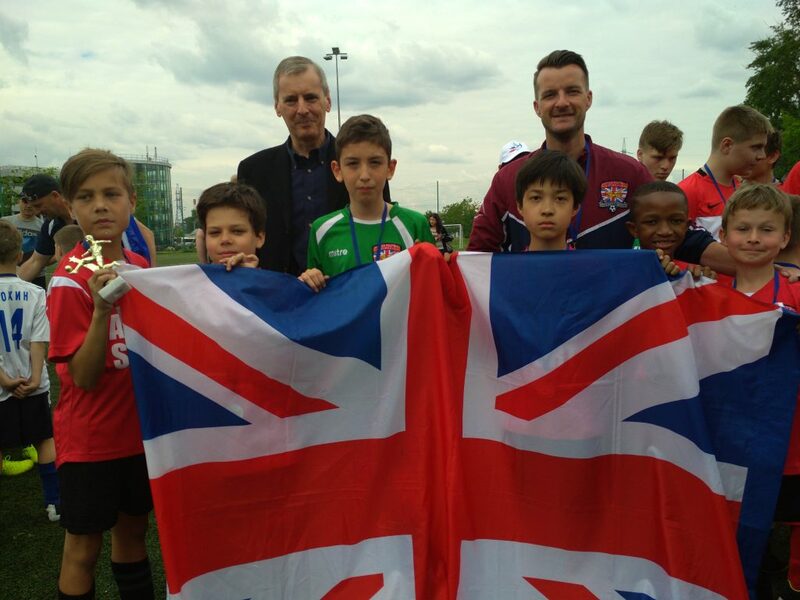 The fifth match BFC came out fighting against Russia I with the support of Albion’s Gaaliche. Though less experienced than his teammates Gaaliche was excellent to run into space and hold the ball up for his team. This allowed for several bursts forward by Yagnyatinskiy and some excellent passing to ensure Gens bagged another goal before half-time. The team were aiming to reach the semifinals, but another injury affecting Dlamini and tiring legs all round led to two goals being conceded in the second half despite the best efforts of Petrov to motivate his team. 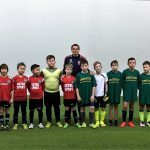 Overall the team can be proud of their achievements – to win two matches and two close losses but continue to battle when not feeling 100% and against often stronger opponents is a good result! 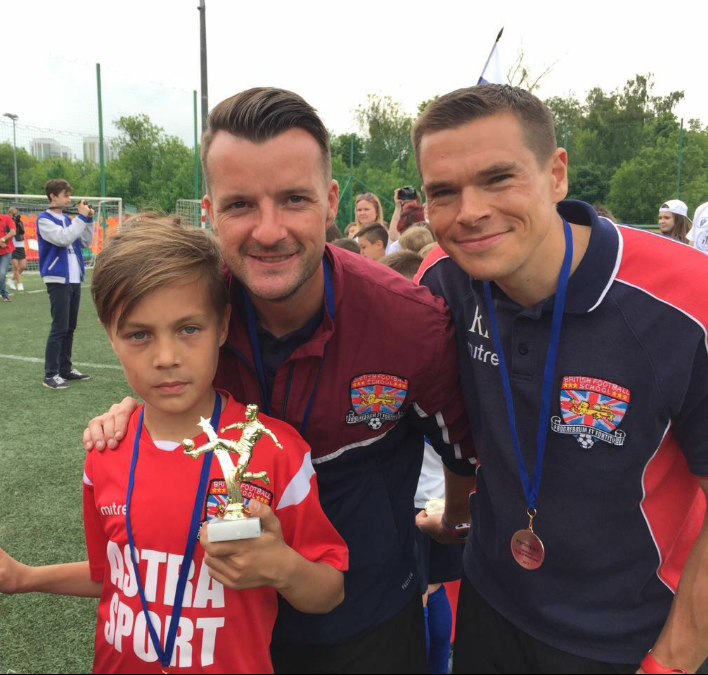 We all had great fun competing, bravo to BFS Rovers and to Bokov for winning player of the tournament! !